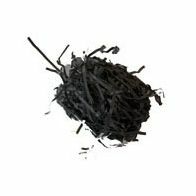 Shredded paper is a natural product and is is 100% recyclable. This filler is a popular choice to add some colour to the inside of the gift packaging and works well with a wide variety of items. This shredded paper is available in a number of stock colours and is available in 4kg boxes or 10 kg boxes for those with larger quantities to pack. Order early to plan for Christmas as some colours are very popular. This product is ideal choice to finish off your hamper gift while protecting your products.